Home 1st Semester Jurisprudence Discuss the distinctive characteristics of Historical School of Jurisprudence. Q.8. 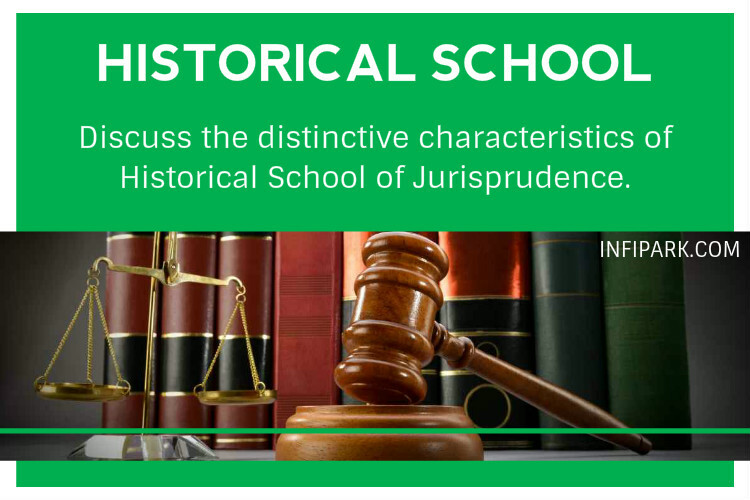 Discuss the distinctive characteristics of Historical School of Jurisprudence. Distinguish clearly between Analytical jurisprudence and Historical jurisprudence. The rise of Historical school of jurisprudence may be traced to many causes. The first is the reaction against the unhistorical assumptions of the natural law theorists. Secondly, the attempt to find legal systems based on reason without reference to past or existing circumstances was revolutionary in execution. The culmination elf it was the French Revolution. Thirdly, the French conquests under Napoleon aroused the nationalisEurope. FoulILly, the French also spread the idea of codified law, and as a reaction to anything, which French carried with them an aversion to the code was the result. The term “Historical jurisprudence” is usually associated with the particular movement in legal thought of which Savigny is its famous exponent and Maine is its supporter. (1) Law is found, not made. A pessimistic view of the power of human action. The growth of law is essentially unconscious and organic process; legislation is, therefore, of subordinate importance as compared with custom. (2) As law develops from a few easily grasped legal relations in primitive communities to the greater complexity of law in modern civilization, popular consciousness can no longer manifest itself directly, but comes to be represented by lawyers, who formulate the technical legal principles. Legislation follows as the last stage; the lawyer is, therefore, a relatively more important law making agency than the legislator. (3) Laws are not of universal validity or application. Eachpeople develops its own legal habits, as it has its peculiar language, manners and Constitution. Savigny insists on the parallel between language and law. The VOLKSGEIST i.e., the will of the people or consciousness of the people which manifests in customs, tradition or habits of a particular mode of behaviour for a particular occassion signifies itself in the law of the people it is therefore essential to follow up the evolution of the VOLKSGEIST by the legal historical research.According to Savigny, “law grows with nation, increases with it and dies at its dissolution and is a characteristics of it”. Savigny deprecated the admiration bestowed upon the then codifications of law in Prussia, Austria and France. Savigny was inspired by his profound study of Roman law, whose development was to him the model of wise juristic guidance moulding the law through gradual adaptation for centuries before the corpus juris gave the final form of codification. This explains Savigny’s preference for the jurist rather than the legislator as the medium of legal progress. A somewhat strained blend of Savigny’s two convictions, first, that legal science is better than legal reform and second that popular consciousness is the source of all law, is his contention that, in advanced civilization, the jurist represents and formulates popular consciousness. (a) Law has an unconscious organic growth, it is neither found nor artificially made. (b) The basis of law is to be found in VOLKSGEIST which’ means people’s consciousness or will, and consists of traditions, customs, habits, practices and beliefs of the people. (c) Law is not universal in nature, it varies with people, time and needs of the community. (e) With the growing complexity of law, the popular consciousness is represented by lawyers who are nothing but mouthpiece of the popular consciousness. The founder and the chief exponent of the English Historical school of law was Sir Henry Maine. He was strongly influenced by Savigny’s historical approach to the problem of jurisprudence, but he went beyond Savigny in undertaking broad comparative studies of unfolding legal institutions in primitive as well as progressive societies. Historical jurisprudence is the history of first principles and conceptions of legal system. As Analytical jurisprudence is mainly concerned with the systematic exposition of legal system, so the Historical jurisprudence is mainly concerned with general history of law in other words, it can be said to be the general portion of legal history. Analytical Jurisprudence deals with systematic exposition of legal conception, that is to say, it is directly connected with the law ‘as it is’, while Historical jurisprudence is concerned with the problem, how did law come to be? Jurists of Analytical school, particularly Austin says that law is the command of sovereign. Historical jurists do not believe in command theory. To them source of law is the instinctive science of right possessed by every race. They emphasize the spirit of people, the VOLKSGEIST. Thus law is the product of time in the slow and gradual process like language. Custom is not the evidence of law but its source. Custom is transcendental law and other methods oflegal evolution, e.g., precedent and legislation, derive their authority from custom. In short, the Analytical school conies to force on the.basis of law as it is and tries to prove its existence on the basis of logic and analysis while Historical School proves that law is followed because people were customarily following it because of its acceptance by the people through their will consciousness termed as “VOLKSGEIST”. The Analytical school traces the law as command of the sovereign, while Historical school traces the existence of law even in primitive societies where there was no sovereign as such to the general will of the people to obey the law in the shape of customs, habits etc. Previous articleDiscuss the rule of strict liability & Absolute liability. Next articleWhat are the main theories of Legal Rights ? 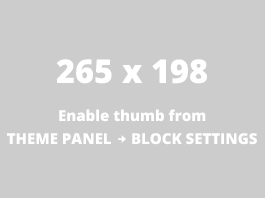 Explain in brief.